I know motherhood can be the most rewarding and the most frightening at the same damn time. Because you who are raising a daughter like me, I know how much you deal with making sure you’re doing the right thing by her. You want to protect and teach her, but you also want her to be a beautiful free butterfly. I have always wanted Honor to be whatever it was she wanted to be, and I know you want the same for your sweet girl. You daughter is beautiful and you’re doing a hell of a job raising her. That being said, I’ve been watching you, and I see greatness in what you’re doing. 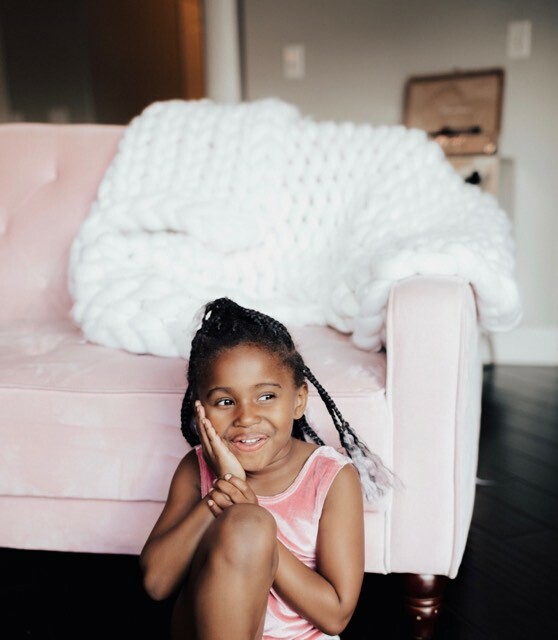 So, I put together like 10 things I see you and other fabulous moms do to raise STRONG dope daughters who have smarts, beauty, and beautiful souls. 1. Thou shall allow her daughter to come into her own. My beautiful girl is going to experience different stages. I will accept those stages and embrace the years where she is doing the most. I know it’s coming. LOL. 2. Thou shall give her freedom to explore her mind. Letting Honor determine what she believes, what her values are, and how she will live is super important to me. 3. Thou shall give her options to help her find her gifts. Exposing Honor to the arts, sports, culture, cities, islands, and everything else helps her find what she loves to do. I will always give her opportunities to explore. 4. Thou shall shower her with love based in truth. I tell my girl I love her every single day, even on the days when I’m she’s being paid to play a prank on me with her questions. 5. Thou shall allow her ample time to spend with her father. The time with her dad is so important. I encourage her to make the most of every minute she has with him. There’s so much he can teach her that I can’t simply because I’m not dad. 6. Thou shall allow her to play sports, get dirty, and wear makeup. I let Honor play soccer, make mud pies (okay she doesn’t even like mud, but I would if she wanted to) and eventually I'll let her try out some makeup. She knows I won’t stop her from trying new things. This will make her well-rounded. 7. Thou shall encourage her to know her body well. Every girl should know her body better than anyone else. As Honor grows up, I will keep telling her to know her body inside out. Know when something doesn’t feel right and check out all the fun stuff....wink wink. Courage starts with knowing yourself. 8. Thou shall show her how to be a boss of her life and her career. 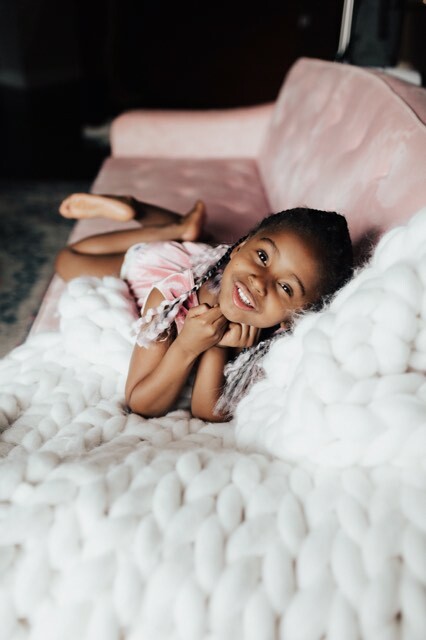 My greatest accomplishment has been showing Honor how to build strength her own way; whether it’s by majoring in motherhood or becoming the CEO of a Fortune 500 company, she knows she can do it. 9. Thou shall encourage her to love everything about her unique beauty. I teach her to embrace her unique features, her curly hair, and her cute dimples. Her pink hair and her blue braids. Her eclectic style and her piercing eyes. She know from mama first that her unique beauty will make her stand out. 10. Thou shall let her grow up in grace. How do we let her grow in grace? I don’t force my lifestyle, my dreams, or my fears onto her. I let her do her thing and grow in grace.